*Does not include the foreign share ($39.9 million) of official coproduction budgets in which Canada is a minority partner. Source: Telefilm's database, figures are rounded. The CFFF investments leveraged production budgets of $212.3M. These investments have contributed to the economic prosperity and development of a vital industry across Canada. The feature film industry is labour-intensive because of its prototype nature; each film is different from the next. Therefore, a high proportion of all spending is paid directly in salaries. It is estimated that the CFFF investments have contributed to the creation or the maintenance of the equivalent of approximately 5,000 full-time jobs, of which 2,000 are directly linked to production activities. The leveraging effect of our investments – including coproduction investments, sales by linguistic market and sales by platform – are all-important indicators for an industry that has traditionally measured success at the box office alone. As a priority over the next year, Telefilm will work with stakeholders and partners to ensure that its measures of success reflect today’s multiplatform reality. Telefilm must also find better ways to capture usage data from all measurable platforms, and include newer online platforms that remain unmeasured such as iTunes and Netflix. 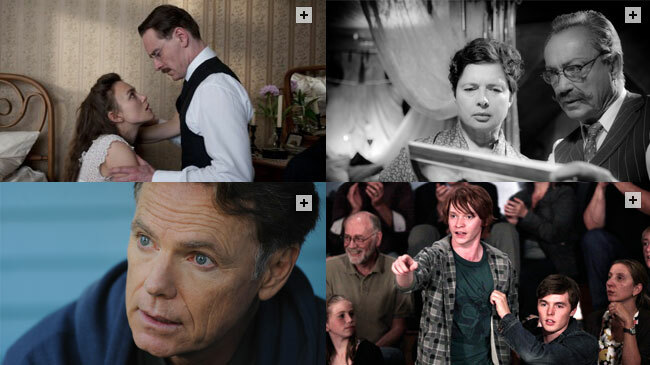 In 2010-2011, Telefilm was able to support the production of 48 projects across Canada – five more than 2009-2010. Our financial commitment dropped from $66.8M to $65.2M year-over-year. In other words, we were able to support five more projects with $1.6M less investments. 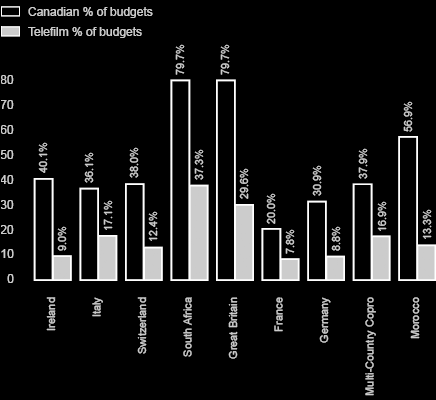 Telefilm's early investment in Canadian film projects enhances a producer's ability to attract additional financing. 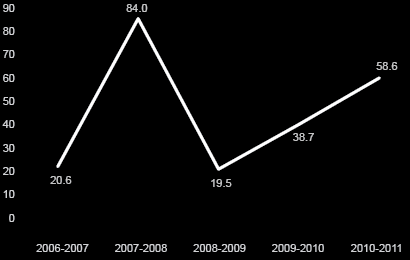 This past year, the CFFF represented 31% of all budgets – a three-year low. The majority of alternative investment comes from the Canadian private sector (up from 8% to 13%) and from foreign sources (up from 5% to 13%). Distributor/exporter financing was up slightly year over year. 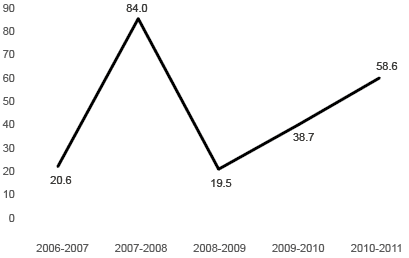 Meanwhile, financing from television broadcasters has decreased from 8% to 2% since last fiscal. Public financing has made up about two-thirds of production budgets over the past five years. Public financing includes the CFFF plus provincial film agencies and other government sources. Private investment lagged in 2009 and 2010 due to the global financial crisis, but has now climbed back to 2008 levels. Coproductions also benefited from a better investment climate. Since 2006, Telefilm has committed over $70M to Canadian producers involved in international minority and majority coproductions. During the past five years, almost $287M of foreign financing from 14 different countries has been invested in coproductions with Telefilm participation, representing a total of 56% of all financing. 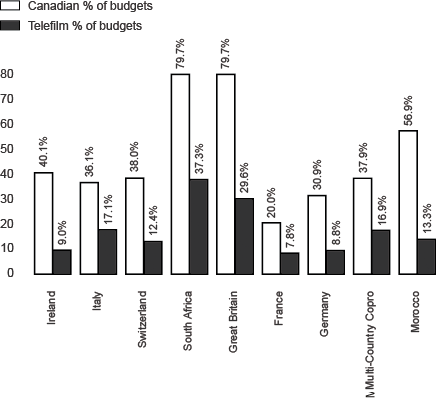 Most coproductions have higher budgets – on average, $11.5M vs. $5.5M for all-Canadian productions. Pooling resources with other nations can generate more financing, and this often gives Canadian producers the opportunity to participate in higher-profile projects. 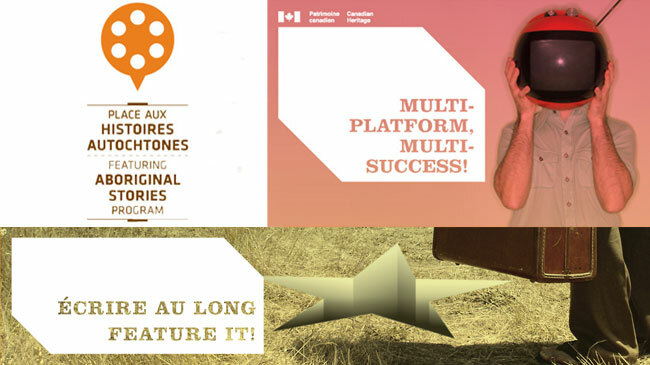 Canadian producers partnering with France and the U.K., our largest coproduction partners (and official language matches), received over $30M of our funding in the past five years. Some French-language investment also goes to Canadian producers who are working with African and Swiss partners. English-language investments are more diverse with coproduction partners including non-English-speaking countries such as France, Germany and Italy. Minority coproductions represented 24 of 44 of the productions to which Telefilm committed funds. Minority coproductions are an important way to strengthen partnerships and build relationships internationally. This past year, Telefilm's commitments were equally balanced between minority and majority coproductions. The following graph demonstrates a recovery in coproduction's activities. After an important drop in activity, coproduction investments rose to 58.6M this fiscal. 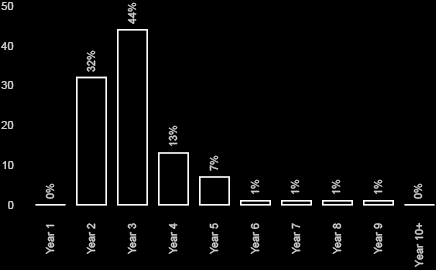 Statistical analysis lets us track the sales life cycle of films supported by the CFFF. The bulk of sales takes place in years two, three and four after CFFF financing is granted by Telefilm. In fact, this three-year span accounts for 89% of total sales. 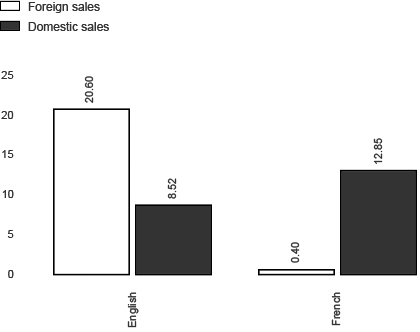 Whereas English-language films generated almost three-quarters of their sales in foreign markets, French-language films generated their sales in the domestic market. 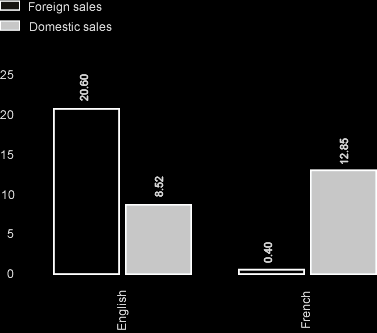 Within the domestic market, we find that theatrical release and home video together still dominate domestic sales, accounting for two-thirds of French-language films and over half of English-language films. Sales to television networks and cable services such as pay TV and pay-per-view still combine to represent almost half of domestic sales for English-language films and almost a third for French-language films. Video-on-demand is still in its infancy with a small share of sales. Overall sales at markets are up 21% year over year. Sales performance was third highest in the past five years. Canada's presence at international markets is important to the Canadian audiovisual industry. Canada, with its cosmopolitan population, is well-positioned to appeal to audiences all over the world. Most foreign sales of Canadian audiovisual content take place at four or five major international events – sometimes in conjunction with festivals. 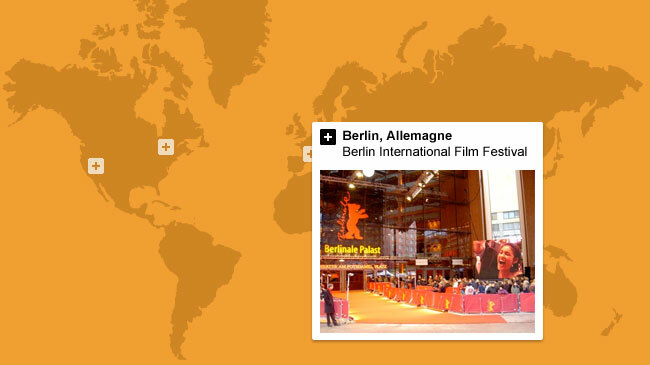 These markets include MIPTV, MIPCOM, the Marché du film at Cannes, and the Berlinale European Film Market. Telefilm maintains a presence at each event. Surveys show that over 84% of Canadian companies in attendance at each event used the onsite facilities provided by the Canada Pavilion/Sales Desk in 2010. After a recessionary drop in use during 2009, Canadian companies are returning to the Canada Pavilion in higher numbers once again – a welcome sign of increased international business. Canadian companies rated the Canada Pavilion/Sales Desk 8.3 out of 10 for its utility in doing business, and 9 out of 10 for the quality of staff assistance they received. Sales at MIPCOM, MIPTV, Cannes and Berlin are measured through a survey of participating Canadian companies. The figures are conservative estimates given that only 40 out of 180 respondents provide complete sales information. Canadian companies conducted over 6,200 meetings across the five markets measured – an average of 38 meetings per company. About half of these meetings involved new business partners. 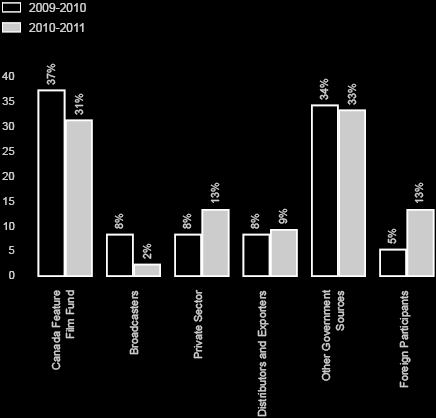 79% of Canadian companies reported closing sales in 2010. Approximately 593 deals were made. About 516 titles were sold. Each Canadian company completed an average of six sales deals and sold five titles. Sale or presale: what's the difference? Marketing activity at international events is a combination of sales and presales. A sales transaction involves projects that have already been produced, or the intellectual property rights for remakes. A presale occurs when production companies find financial partners to work on their upcoming projects. This $15M total was off only slightly from $16M in 2009. However, the outlook is promising with $32M currently in sales and $22M in presales in progress. Conducted business with 20 different countries and territories. Principle partners in 2010 included the United Kingdom (36% of activity); Germany (22%); the United States (20%); Australia (9%); and France (7%). Arranged coproductions and co-ventures with 25 different countries and territories worth $125M, or about $5.4M per company. Tracking international sales and activities over the past five years has given Telefilm valuable insights for developing our international strategy. We have already begun to adjust our approach and presence to better support the Canadian audiovisiual industry. Looking ahead, we plan to intensify our presence at the Toronto International Film Festival. In partnership with provincial agencies, the CMF and producers' associations, we are developing specific action plans for the U.S. and Asia. Our new four-year corporate plan places high priority on stimulating audience demand for Canadian productions, not only in Canada but also around the world. International business and coproductions are an important source of alternative financing for our industry. Return to top 4 All sales at international markets are tabulated on a calendar basis, from January 1 to December 31. Now at the end of its third pilot year, the Featuring Aboriginal Stories Program seeks to broaden the industry's capacity within Aboriginal communities, and to get more projects in production and on screens. The program is comprised of training, professional development, and personalized mentorship along with a development advance. "Being a part of the Featuring Aboriginal Stories Program was an invaluable experience in developing our story to its full potential, fusing what we know as storytellers with what we need to know to get the story to an audience." 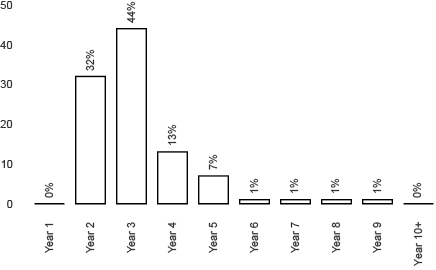 All 2010-2011 FASP participants were surveyed. When asked to rate their satisfaction with the overall program on a scale of one to five, participants averaged 4.3, up from 4.0 in 2009-2010. In 2010-2011, Telefilm continued to support developing talent in official languages minority communities. The Écrire au long and Feature It! initiatives funded 17 projects from minority French- and English-language communities across Canada. "In my 12-plus years in the film and television industry, the Feature It! training was the best I have ever received. The lessons we learned have already proven invaluable and I'm sincerely looking forward to writing my next draft. I wish this type of training was mandatory for all Canadian writers and producers!" On a scale of one to five, Feature It! was rated 4.6 out of 5 for overall satisfaction (up from 4 out of 5 in 2009) and Écrire Au long was rated 4.8 out of 5 for overall satisfaction of its participants (up from 4.3 in 2009). In January and February of 2011, directors, producers and distributors from across the country attended multiplatform strategies workshops to help them understand and benefit from multiplatform content marketing and distribution. The workshops focused on the overview of Web culture and behaviour of social network users, potential of online marketing and social networks and digital content creation/distribution for the multiplatform environment. This survey is currently in progress and results will be published in next year's annual report.